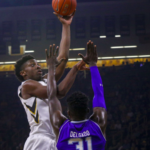 Iowa City, IA – After Wednesday’s game, there were questions as to whether or not the Iowa Hawkeye’s (12-10, 4-5) leading scorer, Peter Jok, would be able to play against the Ohio St. Buckeyes (13-9, 3-6). 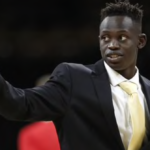 About forty minutes before tipoff, the announcement was made that Jok would, in fact, sit to rest his injured back, an injury that has plagued him the past few weeks. Once it was announced that Jok would be absent for Saturday’s game, the question became who would step up to fill Jok’s 21 points per game. 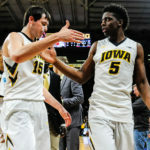 Many thought it would be Isaiah Moss or Jok’s replacement Nicholas Bear, both of whom have had solid seasons so far. But the scoring role was instead filled by redshirt Sophomore Brady Ellingson who finished with 17 points on 6-9 shooting from the floor, including an impressive 5-7 from deep. He was the Hawkeyes’ leading scorer in Iowa’s 85-72 victory over the Buckeyes Saturday night. Ellingson’s 17 was his second highest on the season and highest point total in conference play. Ellingson also added 4 rebounds and 1 assist without turning the ball over. That aggressiveness clearly showed, as he attempted and made more threes than he had all season. If the Hawkeyes are going to continue to have to play without Jok, they need Ellingson’s aggressiveness to continue. While Ellingson was the highlight off the bench, the other bench players were able to contribute some serious scoring as well. 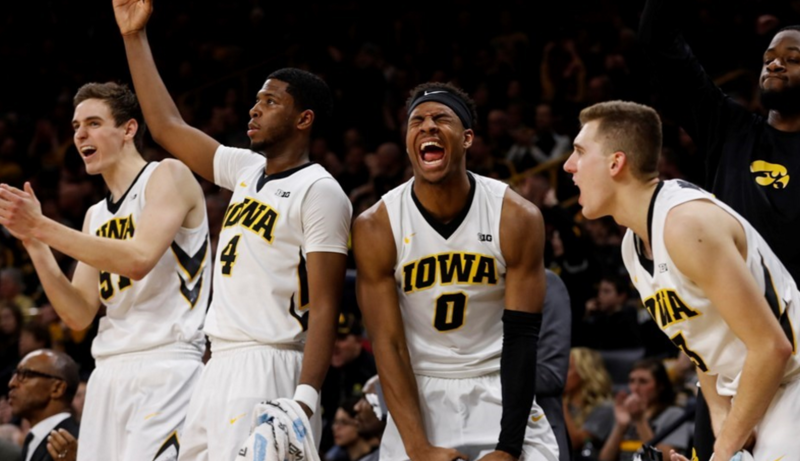 The Hawkeyes had 44 total bench points accounting for more half of the Hawkeyes’ points. It was the kind of performance they needed in the absence of their star. With the win, the Hawkeyes move to half a game out of 5th place in the Big Ten, while the Buckeyes fall into a tie for 11th place. The Hawkeyes’ next game will be in Piscataway, New Jersey to take on the Rutgers Scarlet Knights (12-10, 1-8) at 6pm this upcoming Tuesday. The game will be broadcasted on BTN.